For the past few years, there have been plenty of discussions about “the future of work,” but they tend to fall into one of two camps. You have the pessimists, who insist that the coming changes wrought by automation and artificial intelligence will lead to fewer and fewer jobs, as all of the jobs of today are automated out of existence. Then, there are the optimists who point to basically every single past similar prediction of doom and gloom due to innovation, which have always turned out to be incorrect. People in this camp point out that technology is more likely to augment than replace human-based work, and vaguely insist that “the jobs will come.” Whether you fall into one of those two camps — or somewhere in between or somewhere else entirely — one thing I’d hope most people can agree on is that the future of work will be… different. Separately, we’re also living in an age where it is increasingly clear that those in and around the technology industry must take more responsibility in thinking through the possible consequences of the innovations they’re bringing to life, and exploring ways to minimize the harmful results (and hopefully maximizing the beneficial ones). 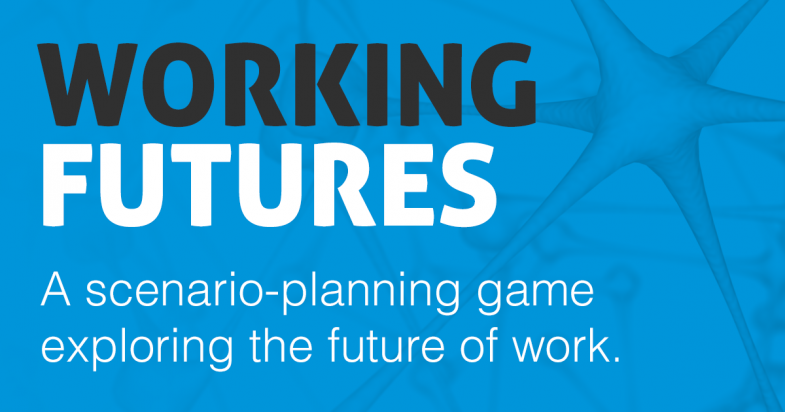 That brings us to the project we’re announcing today, Working Futures, which is an attempt to explore what the future of work might really look like in the next ten to fifteen years. We’re doing this project in partnership with two organizations that we’ve worked with multiples times in the past: Scout.ai and R Street. The key point of this project: rather than just worry about the bad stuff or hand-wave around the idea of good stuff magically appearing, we want to really dig in — figure out what new jobs may actually appear, look into what benefits may accrue as well as what harms may be dished out — and see if there are ways to minimize the negative consequences, while pushing the world towards the beneficial consequences. To do that, we’re kicking off a variation on the classic concept of scenario planning, bringing together a wide variety of individuals with different backgrounds, perspectives and ideas to run through a fun and creative exercise to imagine the future, while staying based in reality. We’re adding in some fun game-like mechanisms to push people to think about where the future might head. We’re also updating the output side of traditional scenario planning by involving science fiction authors, who obviously have a long history of thinking up the future, and who will participate in this process and help to craft short stories out of the scenarios we build, making them entertaining, readable and perhaps a little less “wonky” than the output of more traditional scenario plans. As the first step in this process, we’re asking for input and thoughts on the kinds of “driving forces” that will have the most impact on the future of work in ten to fifteen years. If you go over to WorkingFutur.es right now, you can provide your input on which forces will be the most important and impactful, and help us in thinking through what the future might look like. In late April, we’ll also be hosting an event in San Francisco, where we’ll be using the results of this online process to help us begin to build the frameworks of multiple future scenarios to explore. Please check out the survey and give us your thoughts. It should be no surprise that I’m an unabashed supporter of free speech. Usually essays that start that way are then followed with a “but…” and that “but…” undermines everything in that opening sentence. This is not such an essay. However, I am going to talk about some interesting challenges that have been facing our concepts of free speech over the past few years — often in regards to how free speech and the internet interact. Back in 2015, at our Copia Summit we had a panel that tried to lay out some of these challenges, which acknowledged that our traditional concepts of free speech don’t fully work in the internet age. Late last year, we told you about a worrisome effort by the European Commission to saddle the internet with unnecessary regulations. They had released an online “consultation” which was ostensibly part of the effort to create a “Digital Single Market” (a good idea in the world of a borderless internet), but which appears to have been hijacked by some bureaucrats who saw it as an opportunity to attack big, successful internet companies and saddle them with extra regulations. It’s pretty clear from the statements and the questions that the Commission is very much focused on somehow attacking Google and Facebook (and we won’t even get into the fact that the people who are looking to regulate the internet couldn’t even program a working online survey form properly). However, as we noted, Google and Facebook are big enough that they can handle the hurdles the EU seems intent on putting on them: it’s the startups and smaller tech firms that cannot. The end result, then, would actually be to entrench the more dominant players. We helped created a “survival guide” for those who wished to fill out the (long, arduous) survey, and many of you did. 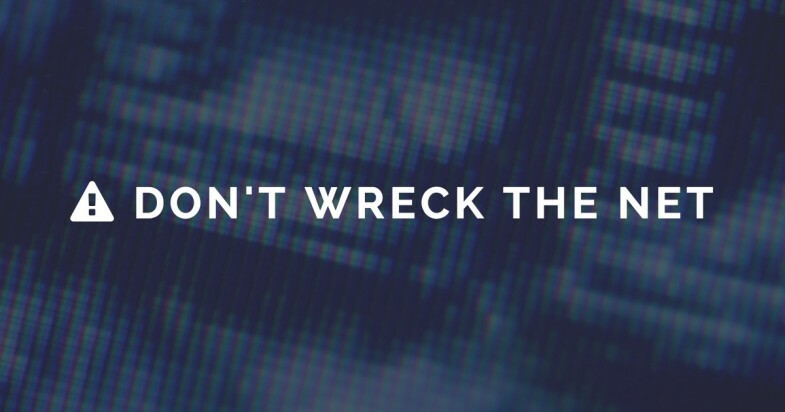 We’ve now spearheaded a followup effort, which we’ve put up on the Don’t Wreck The Net site. 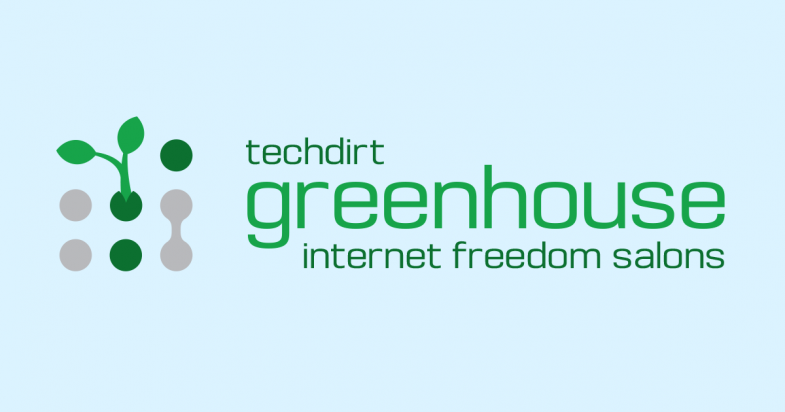 It’s a letter to the EU Commission, signed by a number of internet companies and investors who care deeply about keeping the internet open and competitive. You can see the letter on that site, and it has already been signed by investors such as Union Square Ventures and Homebrew and a bunch of great internet companies, including Reddit, Medium, DuckDuckGo, Patreon, Automattic (WordPress), Yelp, CloudFlare, Shapeways and more. 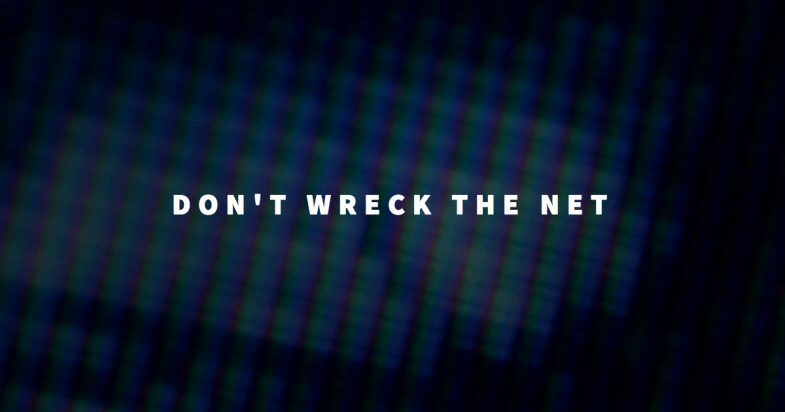 Today, we’re launching a new initiative called Don’t Wreck The Net. The European Commission is holding a public consultation on new regulations for the internet, and the only way to send comments is through a painfully long and oblique online survey. Unfortunately, thanks to those five pages of small print and confusing questions, most people don’t seem to have realized just how big a deal this consultation is — and it only runs until December 30th.